Home / In Home Care / Now Hiring! Do you know a friend or family member that is caring, compassionate, and driven to help those around them? 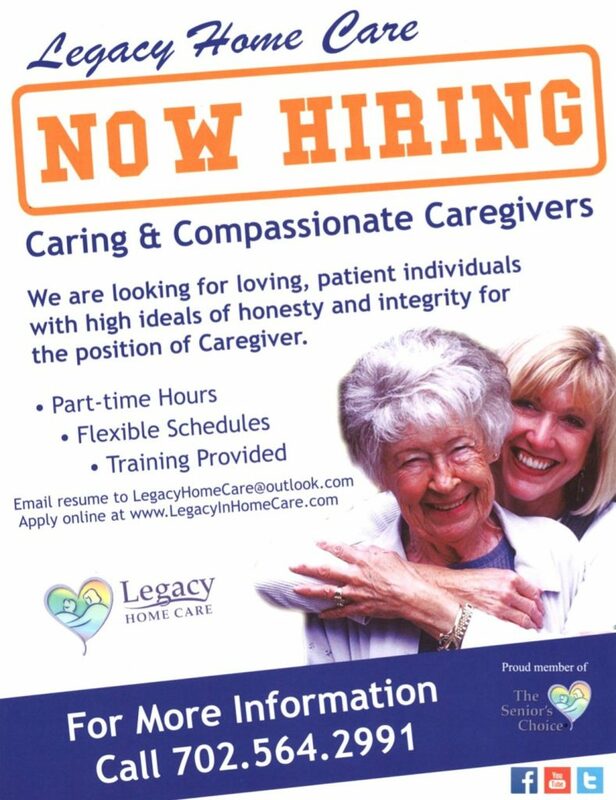 Legacy Home Care and would love them to join our Caregiver Team! If you or a loved one would like to apply today, click here to get started! ← January’s Caregiver of the Month!